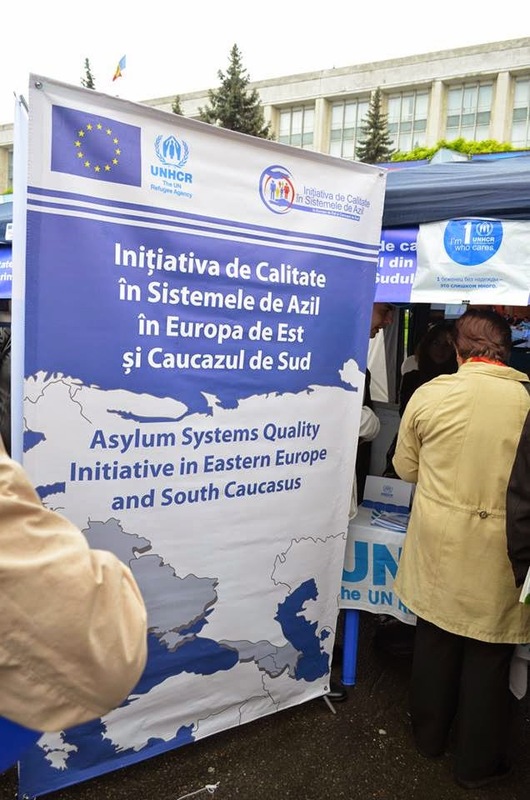 On the 10th and 17th May 2014, in the framework of the EU-funded project, Quality Initiative in Eastern Europe and South Caucasus (QIEE) the Charity Centre for Refugees (CCR) and refugee community took part in Europe Day celebrations in the centre of Chisinau and Comrat, alongside its supporting organisation UNHCR Moldova. Europe Day is a European Union-led celebration of peace and unity, taking place on the 9th May each year. It is celebrated across many countries in the European Union and its neighbours, raising awareness of the diversity of different European cultural highlights. 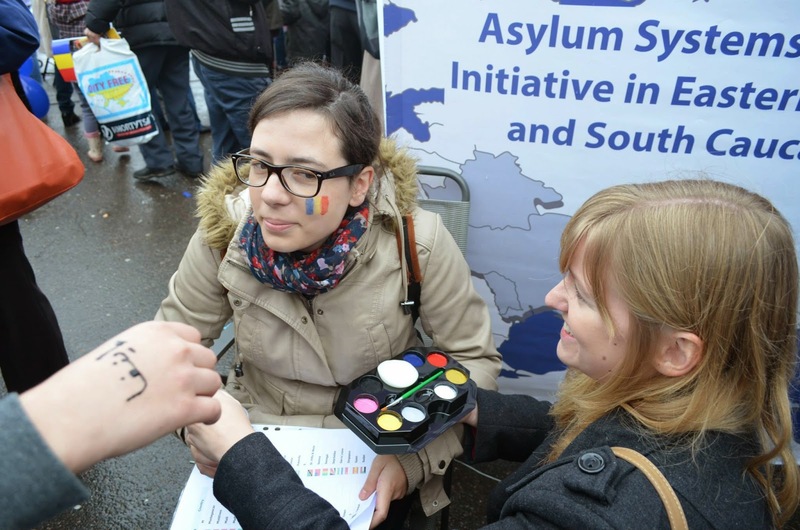 Moldovan authorities and the Delegation of the European Union to Chisinau organised a ‘European town’ in the Central Square, full of stalls hosted by different European embassies and EU-related projects. Each stall had their own attractions; the British Embassy provided tea, the Spanish served paella and Spanish omelette, and the Belgians hosted a very popular barbecue! There was also a wide range of performances held on the main stage. 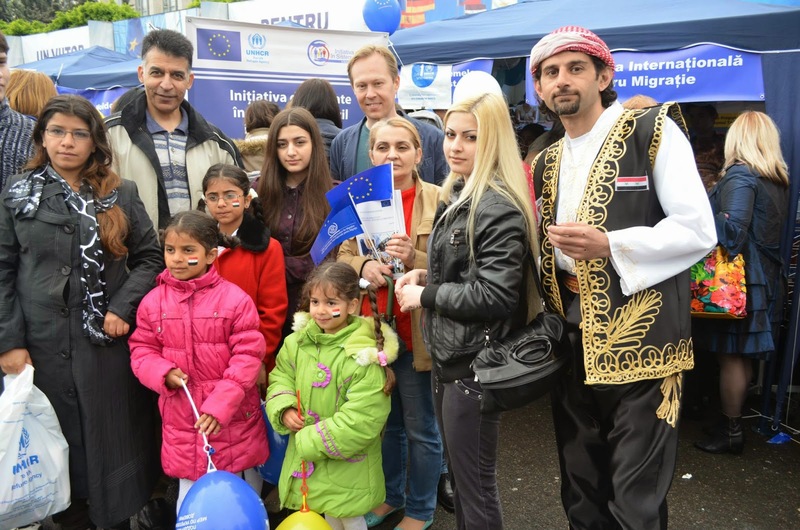 The event was a great success, with hundreds of people attending and enjoying the spectacle, whilst also learning more about the European Union and its member states. UNHCR hosted its own stall, alongside other UN agencies and international bodies. Visitors to the stall could collect a wide variety of information about UNHCR, refugees, asylum seekers and ask questions to staff and volunteers. 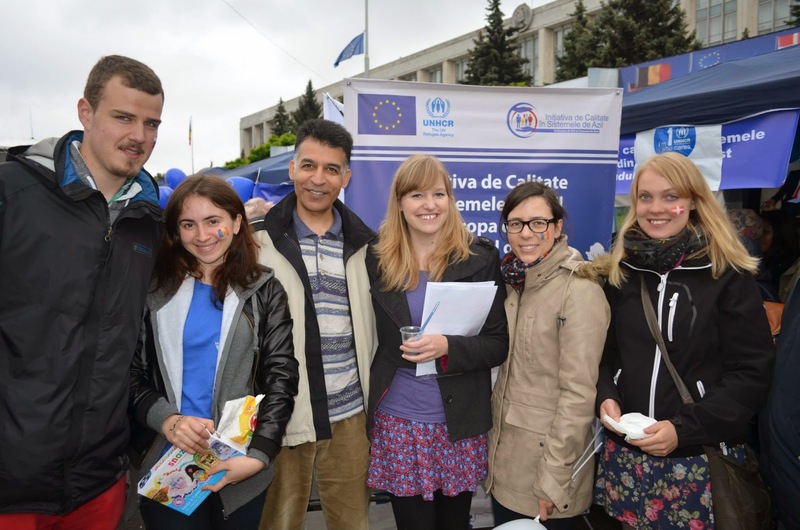 There was also a quiz with questions related to UNHCR’s activities internationally and in Moldova. 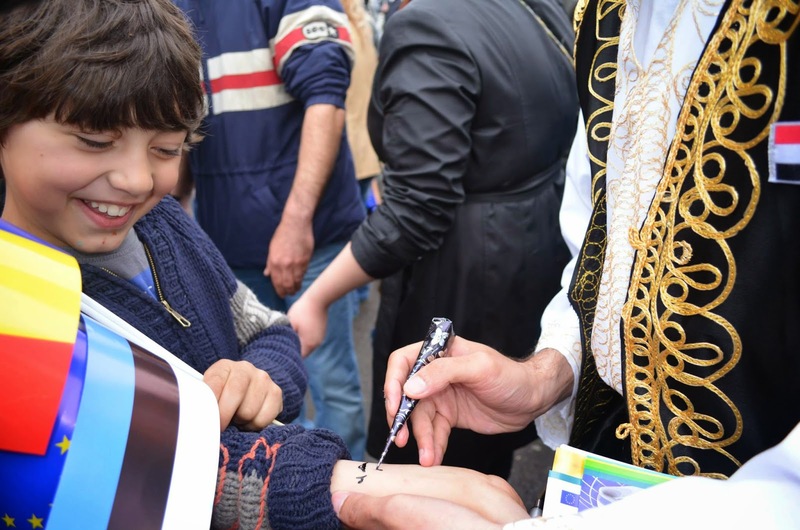 In addition, visitors could choose to have their names translated into Arabic and written in henna. 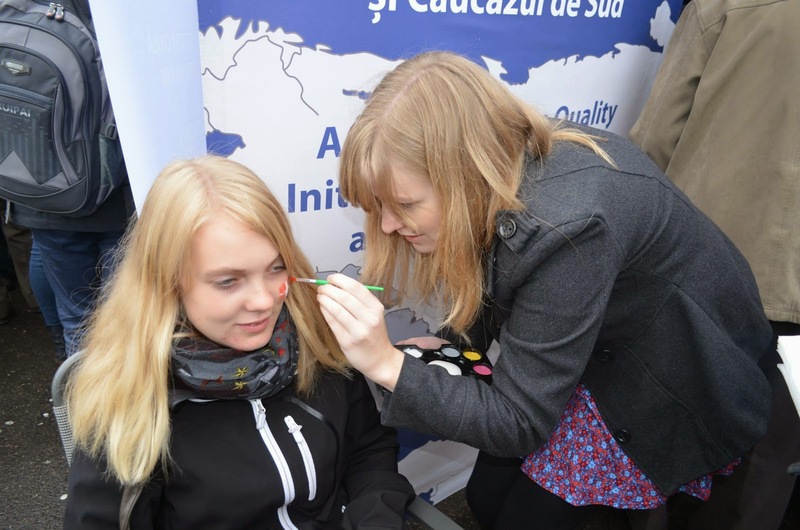 There was also the opportunity to have different flags of the world face-painted by the European volunteers of CCR from the United Kingdom and Spain. All of these activities were very popular and successful, especially amongst children. There was always a queue of people waiting for their turn! UNHCR stall even received a visit from the Prime Minister of Moldova, Mr. Iurie Leanca, which was a great honour and privilege. The day ended with a brilliant traditional musical and dance performance by CCR’s band of musicians and dancers from the Syrian, Uzbek and Indian refugee community. 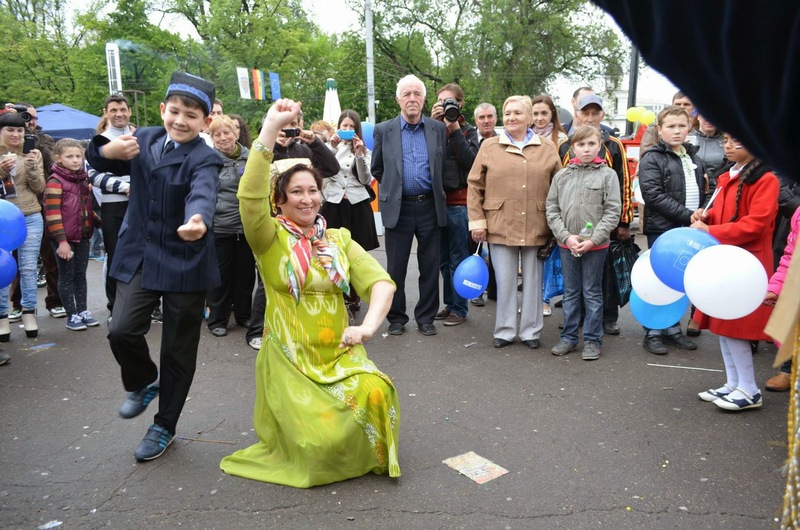 This drew a large crowd, who were able to admire the diversity brought to Moldovan society by its refugee community. 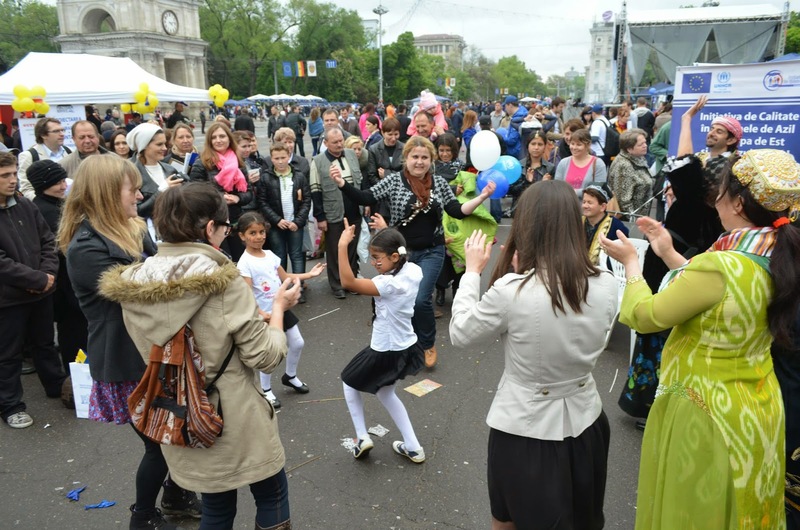 Members of the public were encouraged to dance along and enjoy the music. A true highlight of the day! 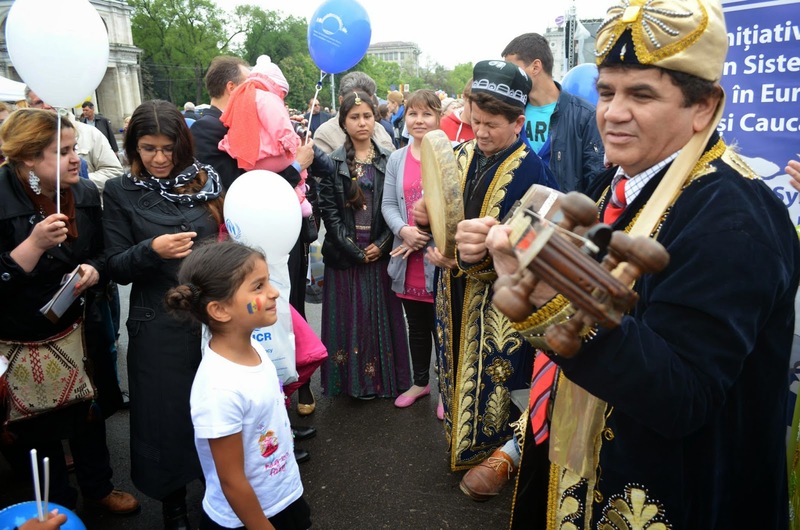 In relation to this event, CCR congratulates the Republic of Moldova with a historical day – 28th April 2014, when European space became a border-free Schengen area without a visa for Moldovan citizens. This is a great achievement and the beginning of a new chapter in relations with EU.